It's not going to be an intake problem with a straight 6. It's a lot more likely a cracked head. Forget the oil idea. Your only option is to remove the head and fix it right. Just make sure it's not trans fluid in the coolant from the radiator. I agree on the head HT . What are the odds of it having a eng oil cooler in the rad tank ? I've had several chevy's but cant recall a ford. It does not have an oil cooler. If the trans fluid is leaking from the radiator into the coolant that would be an easy fix. It is not worth repairing the head if that is the problem. I think it is the head or the head gasket. I could just change the oil every 1000-1500 miles. This would only be 4-5 oil changes a year. I do not drive it that much. I was just thinking that if I replaced the coolant with oil that if the oil leaked it would be leaking into oil so it would not be as big of a deal. Would oil being pumped through the radiator not dissipate the heat as fast? Would the water pump not pump the oil? Why or why not. I know that it is not the correct way to fix the problem. I am willing to experiment a little with it. I will just drive her till the engine finally blows and buy another truck. How do I make it last the longest without the "HEAD" ache? Try a produdct called BARS LEAK and get a lower pressure rad cap say in the 6 - 8 lb range . i dont think the oil thing will work , Cant say why , it just don't feel right. 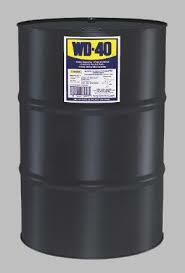 >>everyone knows you can buy WD-40 in the 1 gallon cans<< Really? I didn't know that! Loren - you can even get it in 55 gallon drums! "For those that everything they have sticks!" Must be an 'East Coast' thing? The only thing we need lubricant for, out here, is for reproduction.